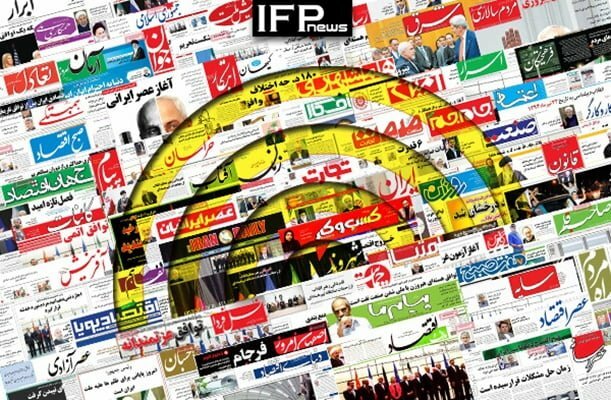 IFP has taken a look at the front pages of Iranian newspapers on Sunday and picked headlines from 22 them. IFP has simply translated the headlines and does not vouch for their accuracy. Newspapers today covered the visit of Syrian Foreign Minister Walid al-Muallem to Tehran and his meetings with Iranian President Hassan Rouhani, Foreign Ministr Mohammad Javad Zarif, and Secretary of Iran’s Supreme National Security Council (SNSC) Ali Shamkhani. They also highlighted the phone conservation between President Hassan Rouhani and his Russian counterpart Vladimir Putin on the issue of Syria ahead of the upcoming Astana summit. The hunger strike of an Iranian political prisoner Arash Sadeqi over the arrest of his wife, and the reactions by a number of MPs and politicians to the campaigns to address his demands were also covered today.